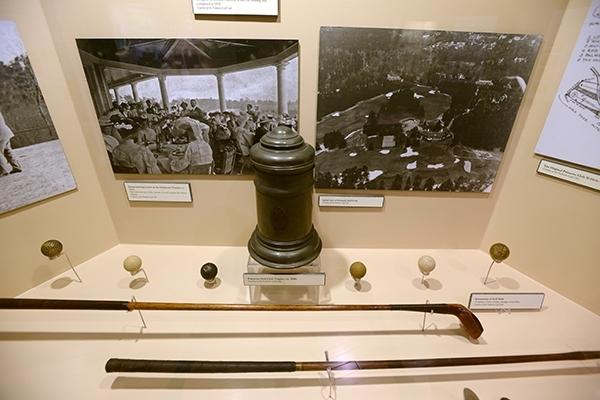 The history of golf stretches back to the Roman times, but it gained popularity in Scotland. By the nineteenth century the Royal and Ancient Golf Club of St Andrews (R&A) became the premier golf club because of its fine course, the publication of rules, its royal patronage, and its promotion of the game as a proper sport. From that time, more and more golf clubs began popping up all over Scotland and England. The growth of golf as an organized competitive sport in the United Kingdom was paralleled in the USA. Soon after golf became popular in the America, the Palmetto Golf Club was created in Aiken County, South Carolina in 1892. This was followed by the Bon Air Hotel in Augusta which organized the Bon Air Golf Club in 1897 with a nine-hole course and small clubhouse on Milledge Road in Augusta. Soon after it was expanded to eighteen holes (1901) and the club became the Augusta Country Club in association with the Partridge Inn (1902). Another early first class course (1927) was the Forest Hills Golf Club that was part of the Forest Hills-Ricker Hotel. 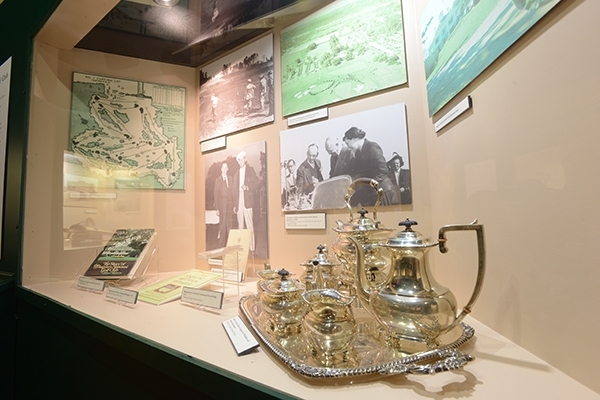 The first major national golf championship ever held in Augusta began at the Augusta Country Club, where in the 1930 Southeastern Open amateur Bobby Jones defeated professional Horton Smith. The Augusta Open was played in 1936 and 1938 with two rounds at the Country Club and two at Forest Hills Golf Club. Bobby Jones, one of the greatest golfers of all time, decided to build his dream course in Augusta. His dream became the Augusta National Golf Club, which opened in January 1933 with the first tournament being played in 1934. Today, golf is truly one of the great sports of the world, being played in almost every country. It is enthusiastically followed by millions more on television, many who have never themselves teed off or sunk a putt, but still can appreciate and love the game. 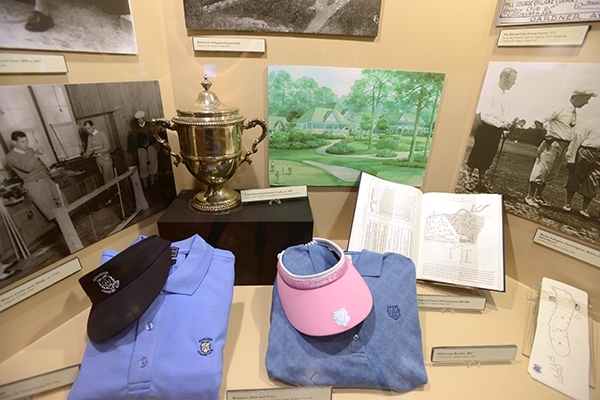 Celebrating a Grand Tradition explores how the sport has evolved over the centuries, the technological advances of tees, balls and clubs, as well as the rich history of golf in the Augusta region, and the people that have influenced the game. 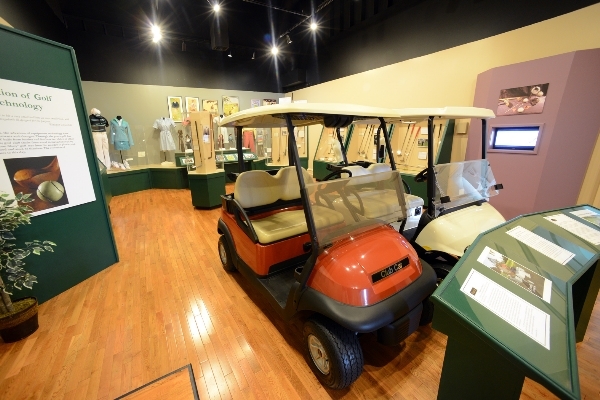 The four oldest golf clubs in the River Region including the Palmetto Golf Club, Augusta Country Club, Forest Hills Golf Club, and the Augusta National Golf Club are all highlighted. 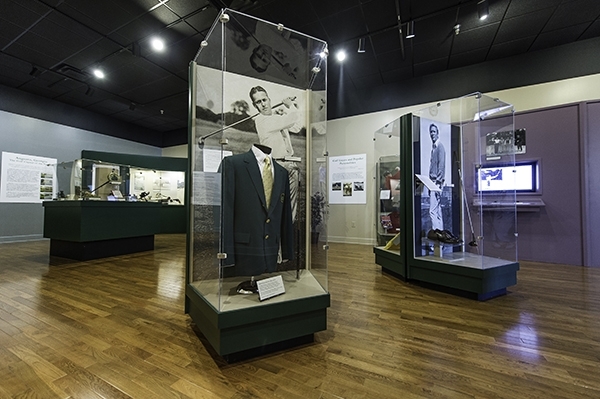 Major personalities that have had a major impact in the golf world are also showcased, this includes, Bobby Jones, Patty Berg, Arnold Palmer, Jack Nicklaus, and Tiger Woods. 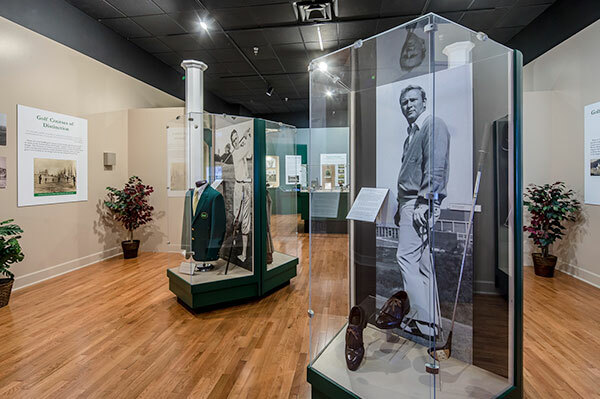 Also on display in the Museums' Rotunda are life-size bronze statues of golf greats Ben Hogan, Bobby Jones, Byron Nelson, Jack Nicklaus, and Arnold Palmer.